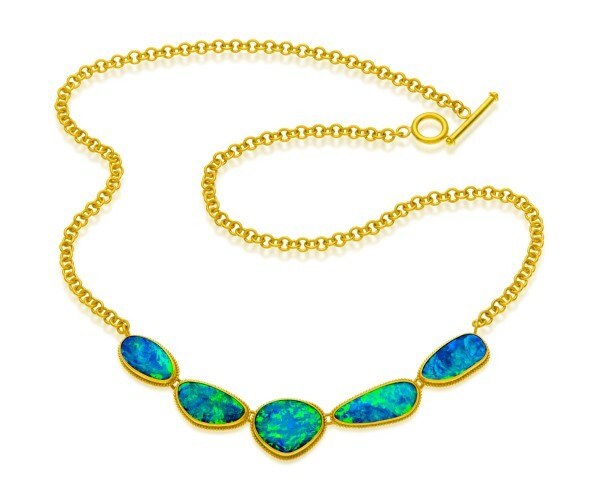 This 22k gold necklace features five beautiful opals and incorporates our hand-made petite link chain in the design. This piece has a length of 19″. Individually, the opals themselves range in length between 15.5 x 19.5mm.